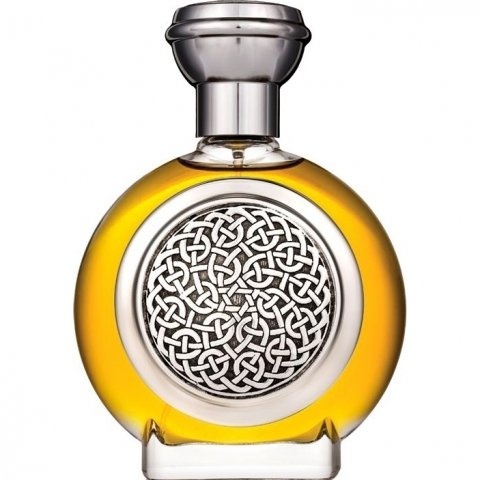 Courage Collection - Inquisitive is a popular perfume by Boadicea the Victorious for women and men. The release year is unknown. The scent is resinous-spicy. Projection and longevity are above-average. It is still in production. This is one of the strongest, most impressive perfumes I ever tried. It's the direct opposite of discreet and evokes intense feelings. If you opt for this perfume, your choice reflects one goal: breakout! This aoud-based scent is daring and unconventional. Everyone who is looking for an extravagant, woody-green, resinuous scent with a twist of lemon, a dash of pungent galbanum and some leathery smelling labdanum, should be "Inquisitive" and try this perfume! It comes on very strong and stays that way for hours. You will want to use it for special occasions (and wisely so). At the price of more than 500 Euros per bottle, you will certainly cherish every little drop of it anyway. Creamy woody oud with an earthy touch. Citrus fruits remain in the distance, but this doesn't diminish the beauty of the fragrance.